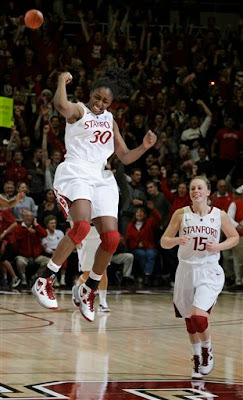 Top-ranked Connecticut's record 90-game winning streak in women's basketball ended Thursday night when Stanford (No. 8 ESPN/USA Today, No. 9 AP) outplayed the Huskies from the start in a 71-59 victory at Maples Pavilion -- where the Cardinal have their own streak going. Stanford hasn't lost in 52 games at home. The Cardinal took an early 13-point lead, never trailed and didn't let the mighty Huskies back in it after halftime in this one. They kept pounding the ball inside and banging the boards. Karla Norton saved her best for last. So did Timeshia Pettigrew, and the combination carried Marion to a 68-54 victory over Byhalia on Thursday night and its first Dragon Fire Invitational Championship at Collierville. Tournament MVP Norton drove to 33 points, including 16-of-19 from the foul line and nine straight free throws in the fourth quarter for the Patriots (11-1). She finished the tournament with 103 points in four games, 38 in the fourth quarter of Marion's last three starts. "I wasn't getting tired," Norton said with a sly smile at coach Darryle Long. "We weren't tired at all." Pettigrew, a 5-3 junior, was the early spark with 15 of her 17 points. 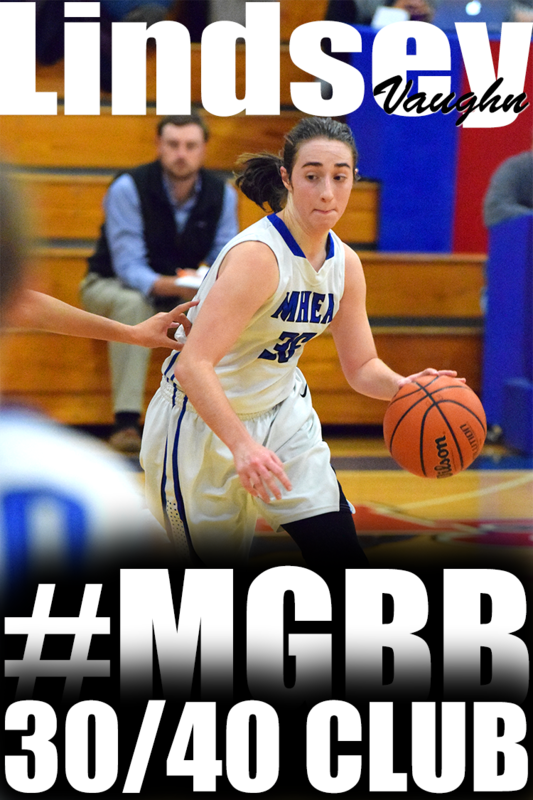 Most came off steals and fast breaks, and she added a half-dozen assists on the end of the Patriots' fast break. 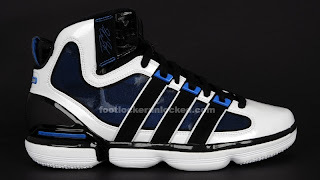 The Nike Tournament of Champions shook up the national ranking. There is a new number 1 and a lot of shuffling going on. Since the last ranking, Central took the biggest tumble dropping from #10 all the way to #28. Due to weather issues, the Ronald Curry - Boo Williams holiday tournament Overton is currently in had to start a day late and I don't have a clue what's going on. But Overton is safe this week moving up 2 to #24. Hillcrest (38) -- Che'erika Bean 16, Ashley Jones 4, Chasity Richardson 12, Tyanna Warren 6. Bolton (75) -- Destiny Arnold 3, Kayla Bolden 10, Abriona Hall 8, Oneisha Kilpatrick 2, Megan Morris 22, Courtney Rhodes 2, Ashleigh Winston 17, Alexanderia Winston 11. Records -- Hillcrest 4-11, Bolton 7-4. St. Agnes (25) -- Katie Connor 2, Lizzie Harris 2, Cristina Patton 2, Julie Smith 8, Sarah Sneed 3, Dallas Threadgill 5, Emily Wallace 2, Felicia Wallace 1. Byhalia (57) -- Erica Bogard 12, Alex Ford 2, Destiny Jones 8, Trueshun Joyner 2, Megan Rayford 8, Crystal Rayford 11, Shandricka Sessom 11, Quanisha Neely 3. Records -- St. Agnes 3-5, Byhalia 10-4. Manassas (52) -- Jamie Bond 2, Naudia Crisp 8, Shaney Cunningham 3, Felicia Johnson 7, Tiffany Jones 7, Jamille Reed 9, Raven Walker 2, Victoria White 14. East (57) -- Zantrell Brown 11, S. Dorsey 3, Angelique Maclin 9, Artasia Marshall 5, Javeshia White 9, Janeka Williams 12, Alexus Young 2, Cleosha Lee 6. Records -- Manassas 9-5, East 4-4. 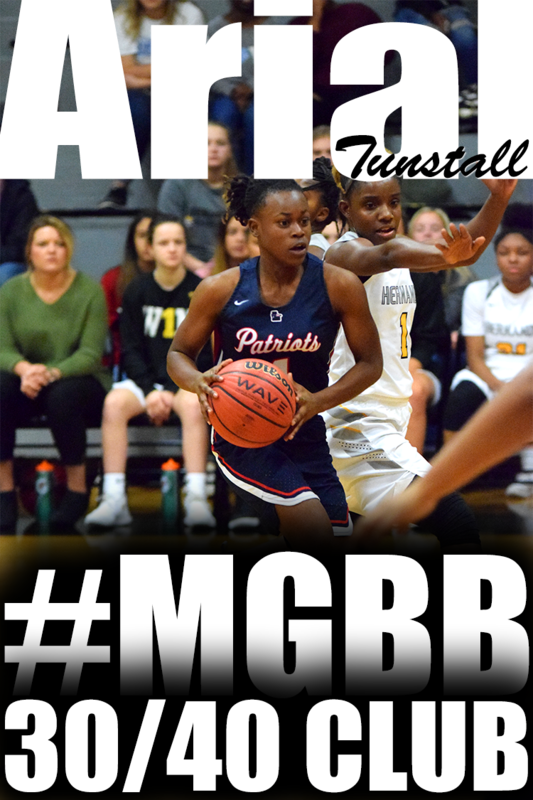 Bartlett (46) -- Toni Chunn 4, Shaequa Foster 4, Tayla Harmon 7, Rachell Hughes 4, Bridget Hutchison 4, Destiny James 8, Shuntavia Rodgers 8, Shondria Scruggs 5, Kelsie Torry 2. ECS (26) -- Mallory Green 7, Kate Jamison 3, Caroline Jamison 2, Jessie Nordstrom 2, Allie Oliver 4, Megan Ratliff 5, Avery Sippel 3. Records -- Bartlett 5-7, ECS 1-7. St. Benedict (49) -- Dee Blakely 13, Devin Chadwick 2, Symone Daniels 13, Julie Eckel 8, Ashley Magnifico 6, Paige Williams 7. Germantown (35) -- Tatiana Allen 2, Katelyn Butler 11, Tierra Clay 2, Jae DeBerry 2, Brianna Mitchell 5, Christal Porter 8, Brandy Winbush 5. Records -- St. Benedict 12-0, Germantown 7-5. Fairley (54) -- Lametria Dunn 3, Marquasha Evers 6, Brandi James 17, Cierra Lott 2, Kayla Wade 20, Erica Watkins 6. Houston (43) -- Aysha Harris 8, Kristina Henderson 7, Martina Little 3, Dominique Malone 8, Alise Parker 2, Julianne Shiles 13, Morgan Smith 2. Records -- Fairley 7-4, Houston 3-8. Collierville (37) -- Kathryn Allen 4, Danielle Brewer 8, Monica Brown 4, Jessica Brown 1, Caitlin Hamm 6, Ashley Jones 8, Sarah Smith 6. 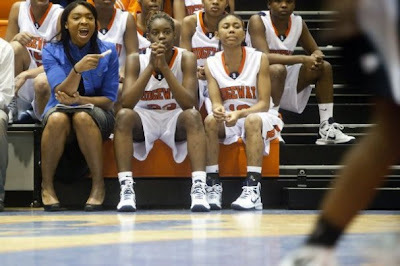 Kirby (32) -- April Bonner 8, Taylor Johnson 3, Jainiece Jones 17, Demarquisia Simmons 4. Records -- Collierville 4-10, Kirby 4-8. Marion (52) -- Karla Norton 25, Timeshia Pettigrew 11, Jessica Lowery 4, Porsha Bedford 2, Jean-neka Black 2, S. Booker 2, E. Chance 6. 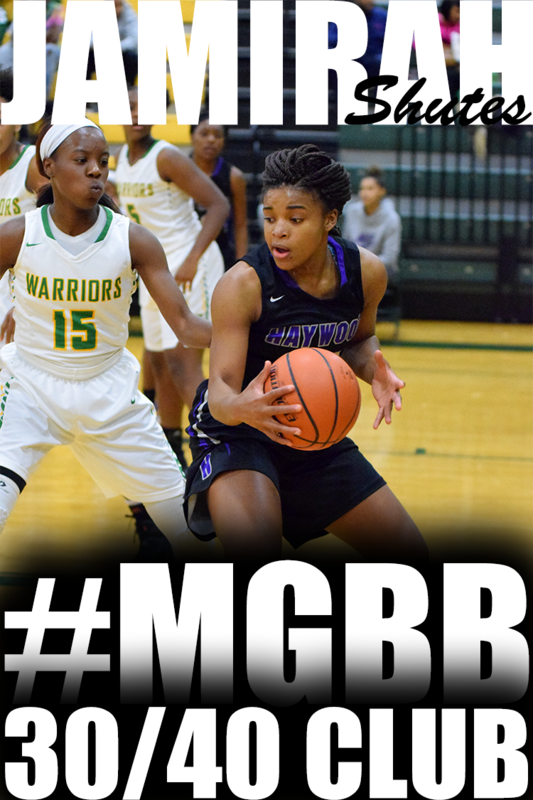 Southwind (48) -- Bianca Cage 8, Quinesha Farmer 6, Amber Holmes 15, Alexus Perry 2, Monia Sanders 3, Kirstie White 2, Mil'Tonique Williams 2, Jasmine McAllister 10. Records -- Marion 9-1, Southwind 8-5. Kaci Cason, who was named after radio personality Casey Kasem, would like nothing better than to be among America's Top 40 high school senior girls basketball players. At the very least, McCluer North's 5-9 star guard just wants to play for a major program at the next level. To that end, she chose to play AAU ball for the Tri-State Elite out of Memphis the past three summers to get her game in tip-top shape. "The competition down south is better than up north," she said by way of explanation. 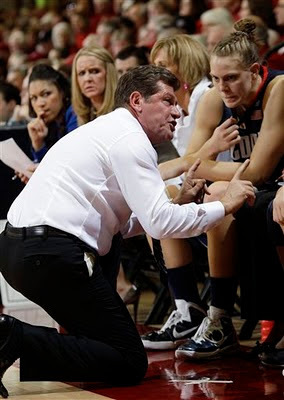 "Over the summer, I played against a girl who committed to UConn. That right there made me play harder." St. Agnes (34) -- Lauren Bell 2, Katie Connor 11, Caroline Cook 2, Cristina Patton 9, Julie Smith 4, Emily Wallace 3, Maggie Edwards 3. Collierville (31) -- Lindsey Allen 14, Kathryn Allen 2, Monica Brown 1, Caitlin Hamm 1, Ashley Jones 8, Sarah Smith 2, Sydeny Smith 3. Records -- St. Agnes 3-4. Kirby (40) -- April Bonner 8, Courtney Hipps 1, Brandi Jefferson 2, Taylor Johnson 3, Jainiece Jones 8, Demarquisia Simmons 12, Crystal Johnston 6. Byhalia (67) -- Erica Bogard 14, Alex Ford 1, Trueshun Joyner 2, Megan Rayford 17, Crystal Rayford 12, Shandricka Sessom 6, Quanisha Neely 15. Southwind (77) -- Bianca Cage 19, Amber Holmes 4, Jasmine McAllister 14, Alexus Perry 4, Essence Prince 4, Monia Sanders 6, Jasmine Settle 1, Kirstie White 11, Mil'Tonique Williams 6, Erin Wilson 8. East (48) -- Zantrell Brown 4, Latisha Henderson 1, Cleosha Lee 5, Angelique Maclin 5, Artasia Marshall 4, Alicia Underwood 8, Javeshia White 2, Janeka Williams 11, Alexus Young 8. Records -- Southwind 8-4, East 3-4. Bartlett (23) -- Tayla Harmon 4, Bridget Hutchison 4, Destiny James 8, Brittney King 2, Treazure Rogers 1, Shondria Scruggs 4. Fairley (45) -- Lametria Dunn 4, Marquasha Evers 13, Jocqueline Gardner 5, Brandi James 3, Daniece Jamison 14, Jessica Jamison 2, Cierra Lott 2, Erica Watkins 2. Records -- Bartlett 4-7, Fairley 6-4. Bolton (54) -- Destiny Arnold 2, Kayla Bolden 5, Abriona Hall 2, Oneisha Kilpatrick 2, Megan Morris 5, Ashleigh Winston 17, Alexanderia Winston 21. Germantown (60) -- Tatiana Allen 5, Katelyn Butler 12, Tierra Clay 4, Brianna Mitchell 3, Christal Porter 22, Alex Thompson 3, Brandy Winbush 11. Records -- Bolton 6-4, Germantown 7-4. ECS (43) -- Kate Jamison 3, Maggie Little 8, Jessie Nordstrom 11, Allie Oliver 2, Paige Rainer 9, Megan Ratliff 7, Ellie Taylor 3. Houston (45) -- Aysha Harris 6, Kristina Henderson 4, Martina Little 3, Dominique Malone 6, Alise Parker 11, Julianne Shiles 8, Morgan Smith 6, DeAnna Wallace 1. Records -- ECS 1-6, Houston 3-7. Marion (58) -- Jocelyn Lowry 2, Karla Norton 21, Timeshia Pettigrew 18, Jessica Lowery 2, Porsha Bedford 4, Malisha McCray 7, Quatia Jackson 2, Jean-neka Black 2. Manassas (57) -- Jamie Bond 2, Naudia Crisp 3, Shaney Cunningham 8, Denise Johnson 6, Tiffany Jones 18, Jamille Reed 11, Victoria White 9. Records -- Marion 8-1, Manassas 9-4. ESPN Hoopgurlz released their Nike TOC Tip Sheet. 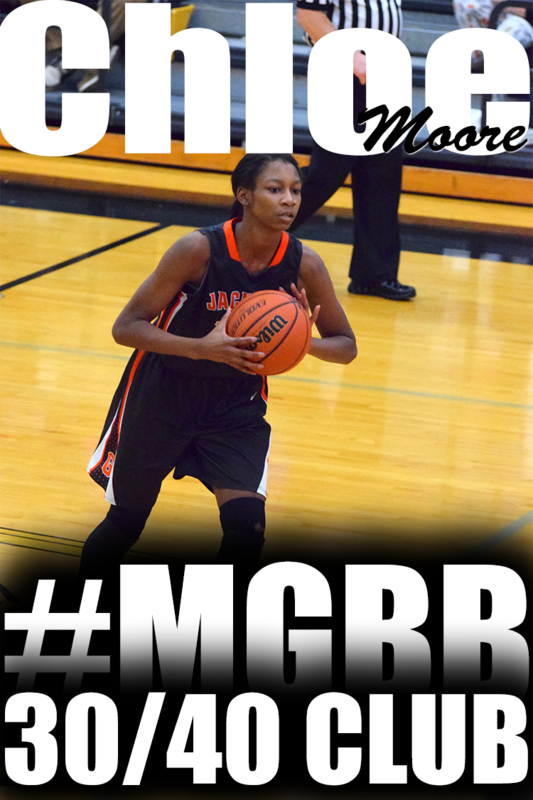 This is what they had to say about Central's freshman, Tia Wooten. 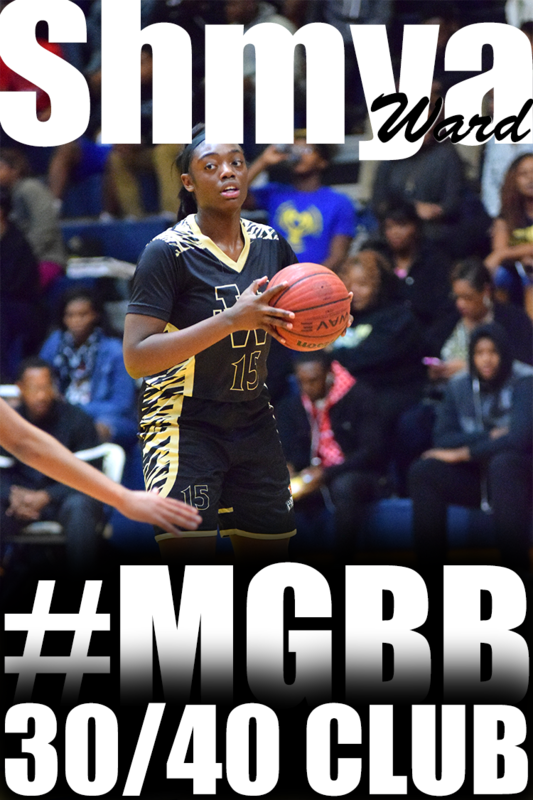 Tia Wooten, Memphis Central (Memphis, Tenn.): The 5-8 wing displayed a wide range of basketball skills and level of maturity that are impressive for a high school freshman. She can defend multiple positions because of her length and athleticism. She is quick enough to play the wing and strong enough to make plays in the paint. Wotten was extremely effective from the high post area either driving in for a layup or taking the short jumper. She is an excellent rebounder who has great hands and explodes of the floor to get the ball off the glass. 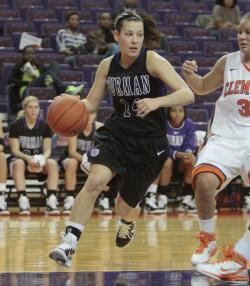 Wooten's versatility and feel for the game make her a player that opposing defense will find very difficult to defend. Briarcrest 71, Madison Academic 45: Taylor Pugh scored 11 points and earned Most Valuable Player honors Wednesday after helping propel Briarcrest to its fifth straight win. Robyn Peete scored a team-best 17 points, Samantha McColgan had 15, and Dakota Doss managed 13 for the Lady Saints, who improved to 9-3 on the season. After winning the prestigious Nike Tournament of Champions, Brea Olinda (Brea, Calif.) also earns a No. 1 national ranking and, of course, bragging rights back in California. All was accomplished by holding off Long Beach Poly 56-48 Wednesday in the championship game of the TOC's elite Joe Smith Division. 2010 Ronald Curry - Boo Williams Holiday Tournament begins today. The tournament will run from December 27th - 30th at the Boo Williams Sportsplex in Hampton, VA. It is a 24 team girls basketball high school event. Connecticut surpassed legendary coach John Wooden and the UCLA men's NCAA Division I basketball winning streak (1971-74) of 88 consecutive victories on Tuesday. The Huskies earned win No. 89 in a row as Maya Moore scored 41 points in a 93-62 victory over Florida State University. Long Beach Poly upset the nation's top team, Mater Dei (Santa Ana, Calif.) in the first semifinal of Tuesday's Nike Tournament of Champions, 61-56. Then Poly watched neighboring Brea Olinda (Brea, Calif.) survive a double-overtime thriller in the second semi, beating back Bolingbrook (Bolingbrook, Ill.) 59-54. 9 a.m. — Sycamore girls vs. Bartlett. 10:30 a.m. — Madison Academic boys vs. Brentwood Academy. Noon — Hickman Co. girls vs. Jackson Christian. 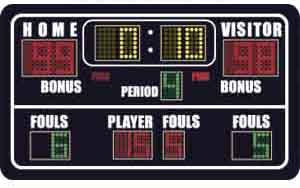 1:30 p.m. — Hickman Co. boys vs. TRA. 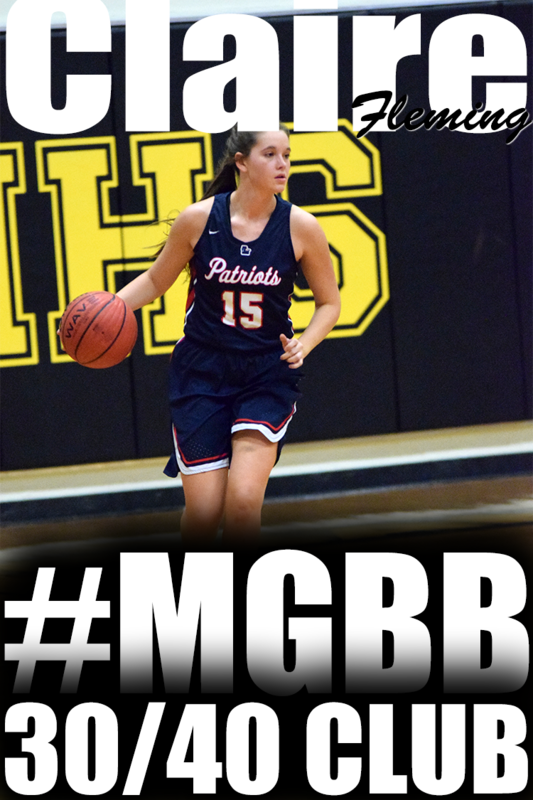 3 p.m. — Briarcrest girls vs. Brentwood Academy. 4:30 p.m. — Briarcrest boys vs. Jackson Christian. 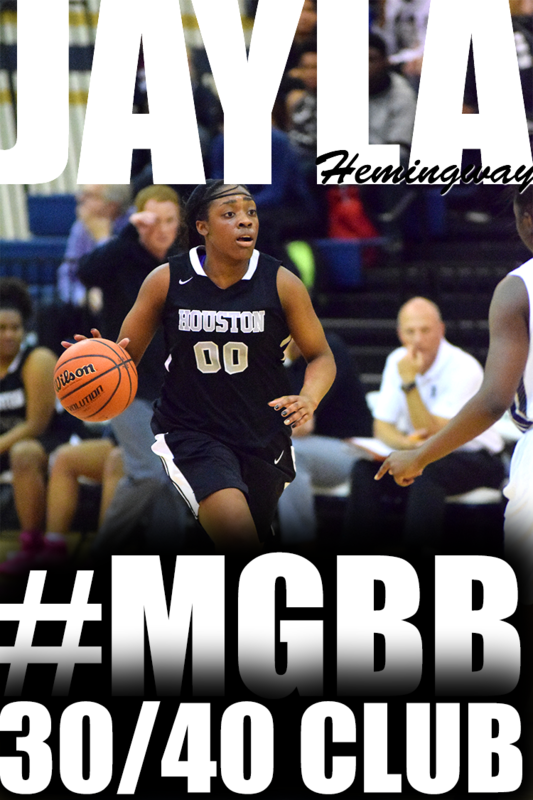 6 p.m. — Madison Academic girls vs. Harding. 7:30 p.m. — MUS boys vs. Harding. Recently, Ty Harris (White Station) scored a career-high 16 points as the Christian Brothers Lady Bucs won 89-47 over Blue Mountain. Long Beach Poly defeats Memphis Central 61-49 on Monday. Former Oakhaven standout, Mary Jackson, is still adjusting to Coach McFerrin's system at the University of Memphis. However, things seem to be coming together. She had a break out game in a 76-51 victory over North Carolina A&T on Sunday. Mary came off the bench to chip in a career-high 11 points, her first double-digit game as a Lady Tiger. Want to know what high school events ESPN Hoopgurlz will cover this season? Dec. 11-12, 2010: Breezy Bishop Showcase -- Baltimore, Md. Dec. 27-30, 2010: Peach State Southeast Invitational -- Duluth, Ga.
Jan. 22-23: Raatz Fence Classic -- Louisville, Kent. Jan. 29-30: JFK Classic -- New York, N.Y. I new this would be a game worth attending. White Station - When they are executing their half court offense, they will be unstoppable. They generated a 12 point lead on Ridgeway largely because of their offensive execution. Jasmine Settles showed a variety of offensive skills that she has - 3 point shooting, scoring off the dribble and penetrating to the basket. Ridgeway - Down by as much as 12. Questionable at the Point Position. Hasina Muhammad receives Technical Foul from frustration. Shervonte' Bright suffering cramps throughout game. Sounds like a recipe for a first lost, right?......Sounds like a recipe for composure, perseverance, and a victory...Freshman Ashley Jackson steps to the line with Ridgeway down 2 and around 1 minute on the clock and nails both of the shots to tie game.. Junior Chelsea Vaughn gives Ridgeway the lead with around 30 seconds on the clock with a layup..On each timeout, I watched Ridgeway's coaching staff continue to encourage the team to fight.. I watched this team execute the philosophy that the game is not over until there is no more time on the clock. Ridgeway (72) -- Tamara Bates 1, Shervonte Bright 10, Ashley Jackson 5, Hasina Muhammad 26, Odegua Oigbokie 19, Chelsea Vaughn 11. White Station (67) -- Tya Johnson 3, Red Payne 7, Breanna Ridgell 20, Jasmine Settles 14, Durriya Shields 14, Ashley Small 6, Amber Williams 3. Records -- White Station 10-1. The Craigmont High girls basketball team only led for a couple of seconds in the second half Thursday, but they were on top when it counted. Jemil Jefferson's free throw with 2.1 seconds left gave the visiting Chiefs, ranked No. 8 in The Commercial Appeal's Dandy Dozen, a hard-fought 60-59 victory over No. 11 Manassas. Overton climbs 3 spots to #26. Central drops 4 to #10 after losing to #2 Brea Olinda in the Iolani Classic championship game. Douglass (60) -- Kiona Coburn 2, Angela Hardy 25, Bianca Lee 3, Keosha McGhee 6, Lashay Riley 4, Amber Terry 4, Keyatta Tyson 5, Eboni Walls 2, Kamayah Ward 4, Cecelia Williams 5. 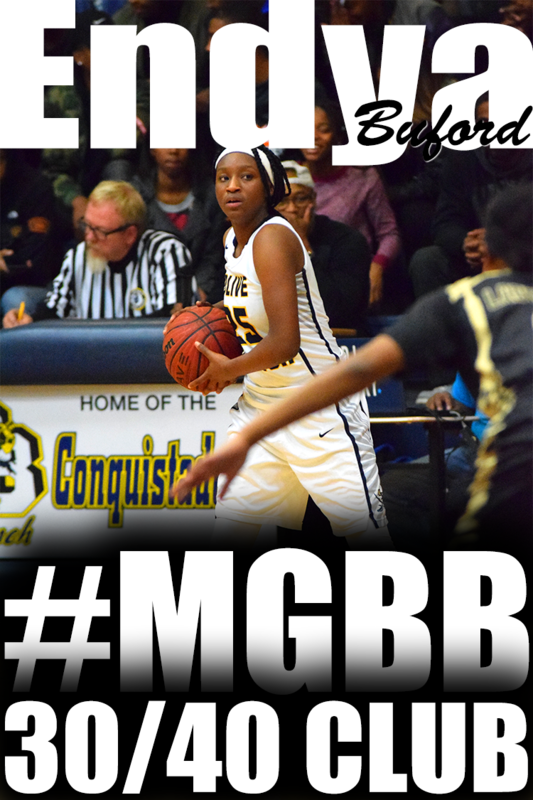 Frayser (35) -- Brown 4, Dillion 4, Taneisha Fisher 2, Taleisha Fisher 11, Laraya Fisher 8, Flowers 2, Grandberry 4. 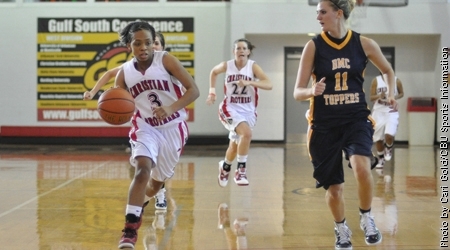 Last week, Jasmine Newsome was named Ohio Valley Freshman Player of the Week for Womens Basketball. 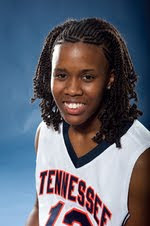 Jasmine Newsome, a 5-2 guard from The University of Tennessee at Martin women's basketball team, has been named the Ohio Valley Conference Freshman of the Week this afternoon by league officials in Brentwood. 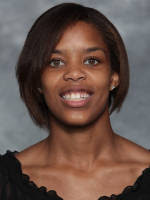 Newsome, who prepped at Millington Central High School, averaged 19.0 points and 6.0 rebounds per game this past week. She helped the Skyhawks defeat Eastern Kentucky Saturday afternoon in Richmond with her 20 points and eight rebounds. She also scored 18 points in the OVC opener for UT Martin at Morehead State this past Thursday. Newsome is averaging 17.4 points per game this season and is among the nation's top 70 scorers. The weekly honors are nominated and voted on by the women's basketball contacts and sports information directors. This is the third week out of four that a UT Martin player has claimed the Freshman of the Week. Tuesday at a sold out Ferrell Center in Waco, Texas, where the Baylor fans got just what they wanted for Christmas -- a Kim Mulkey bobblehead doll -- sixth-ranked Tennessee really wasn't able to effectively battle Griner. As a result, No. 3 Baylor came away with a 65-54 victory. It seemed eerily like Baylor did what Tennessee has done for so long to so many frustrated foes: hold them at arm's length. Ladies, this is not the way to react to a foul called on you. One of Willett's former players, LaKendra Phillips, dropped by the coach's office back in September. With her degree from Ole Miss in hand, Phillips wasn't merely paying a social call, as Willett soon found out. "At first, I thought she was coming by just to talk," Willett said. "She said she wasn't doing anything just yet, but that she was interested in teaching and coaching. "And it was like a light bulb went off in my head. I could help her and help the program at the same time." Long considered the de facto national championship for American girls' basketball, it has showcased 11 of the past 14 USA Today National Champions and a remarkable 105 State Champions since 1997. Central is still in Hawaii laying over until they head to Phoenix December 18-23, 2010. It doesn't get any easier in the Joe Smith Division of the Tournament of Champions tournament for the squad. Their first game is against #26 ranked Bishop O'Dowd (Oakland, Calif.) and a possible second round fight against #9 Long Beach Poly (Long Beach, Calif.) or #17 Mt. Lebanon (Pittsburgh, Pa.). 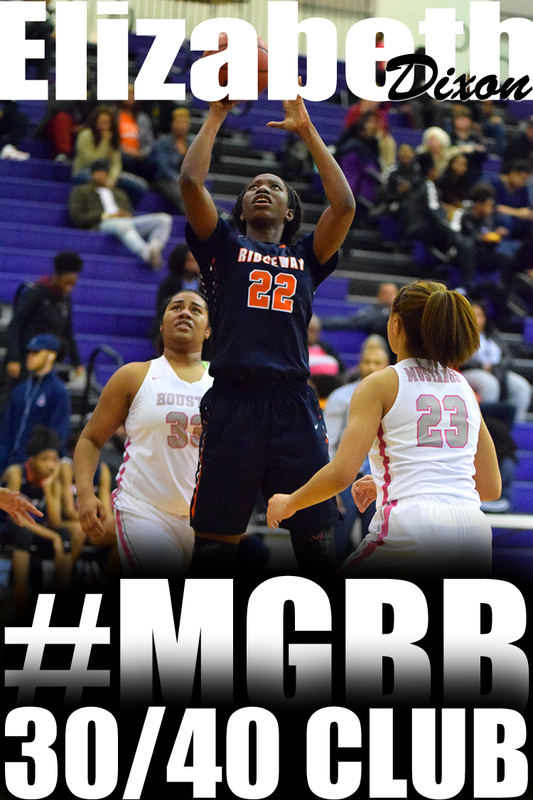 Leading scorers--BO: Keitra Wallace 21, Ana Kim 20, Jennifer Olukeme 13, Taylor Spears 11. MC: Danielle Ballard 22, Aaliyah Whiteside 13, Jalen O'Bannon 11. Kona: Emalia Galdeira 14. AM: Ashley Watson 14. 'Iol: Saphyre Rezentes 11, Erin Napier 10. Far: Brydgette Tatupu-Leopoldo 16, Kirsten-Marie Liana 14. Inc: Brianna Puni 13. Tsi: Tong Jiang 16. One of the most surprising names in the girls Dandy Dozen is Craigmont. And count coach Tim Anderson among those whose eyebrows have been raised by the Chiefs' 9-2 start. "I'm as shocked as anyone," the 10th-year coach said. "The girls are playing together and believing in the system." Anderson said his team overachieved in finishing 15-14 last season. Then three starters graduated and sixth-man Shenequa Foster transferred to Bartlett. On paper, it didn't look so promising. But Craigmont started the year with a strong march through the Martin Luther King Jr. tournament at Melrose, losing in the championship game to undefeated and third-ranked White Station. Craigmont's game is predicated on speed. 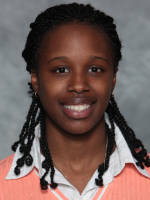 Point guard Kaitlyn McCoy, a 5-4 senior, triggers the Chiefs run-and-gun offense while classmate Jemil Jefferson quickly established herself as a top scoring option after joining the team at the start of the second semester last season. "Kaitlyn knows the system and knows what I expect," Anderson said. "And Jemil has really fit in and become one of my leaders." Those two will need to continue to be leaders now that District 14-AAA play has begun. Craigmont figures to be right in the thick of things in what should be a dogfight for the title. "Arlington is the cream of the crop, and Millington is always strong," Anderson said. "Cordova won 20 games last year, and I believe Bolton will be a good team. "It's strong from top to bottom. Hopefully we can keep doing what we do and get some wins." What I enjoy about basketball is the opportunity to mentor and teach young ladies about life, success, leadership and teamwork through the sport. Through opportunities I've had to spend around Coach Willett, I've learned that this is something we have in common. Coach Willett teaches her players to be CLASSy on and off the court. Watch the video to learn more. Archbishop Mitty (Calif.) and Konawaena had dreams of reaching the ‘Iolani Classic finals, but both teams were foiled by nationally-ranked powerhouses tonight. Brea Olinda (Calif.), ranked No. 3 in the USA Today Super 25, was too balanced and big in a 69-45 runaway win over Konawaena, the top-ranked team in Hawaii. Lia Galdeira was sometimes spectacular in a 24-point performance. Memphis Central, No. 8 nationally, was clutch down the stretch in a 55-52 win over Archbishop Mitty. Frankly, I think Mitty should be in the Super 25, too. They’re balanced, big and just a shade below the best of the best. So it’s Memphis Central and Brea Olinda tomorrow night for the title, while Konawaena plays Archbishop Mitty for third. In consolation play, Incarnate Word (Mo.) defeated Farrington 64-39 and Tsinghua (China) fought off ‘Iolani 45-39. Just found out that Farrington will play ‘Iolani in the seventh-place game. They had already played in Farrington’s tourney three weeks ago, but tomorrow’s schedule couldn’t be rearranged. Tsinghua will play Incarnate Word. Danielle Ballard poured in 20 points and Aaliyah Whiteside added 14 as the Lady Warriors stifled the Dragons. Nina Davis added 10 points for Central, which used its fullcourt pressure to open a 24-4 first-quarter lead. Rong Wang led Tsinghua with 12 point and Tong Jiang added eight. 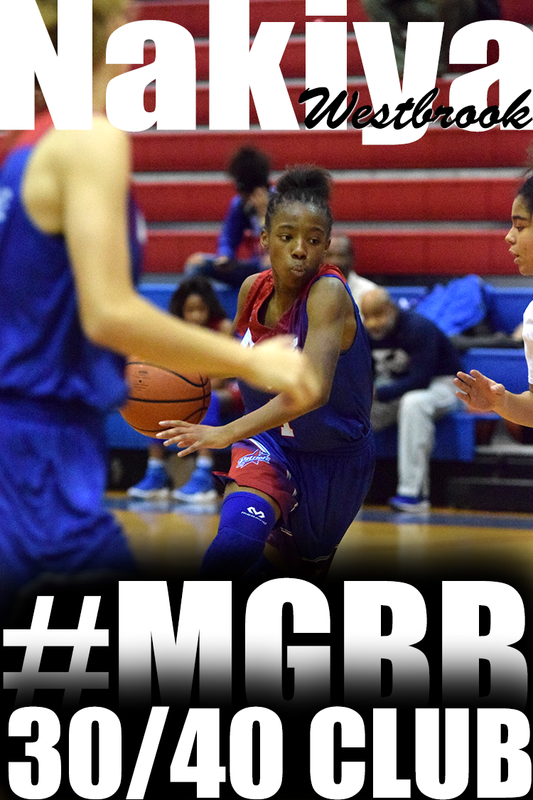 MC: Kahdeja Howell 0, Meme Hill 0, Aaliyah Whiteside 14, Darianne Butler 2, Jalen O’Bannon 8, Danielle Ballard 20, Yasmeen Brady 4, Nina Davis 10, Marissa Knox 3, Tia Wooten 2, Jasmin Cincore 2, Moneicia Stevenson 0. Tsinghua: Jiaying Ma 0, Yue Chen 0, Xiaoran Li 2, Tong Jiang 8, Ming Li 2, Rong Wang 12, Danlei Feng 4, Chen Chen 2. 3-point goals: MC 1 (Ballard), Tsinghua none. Week 2 of the Powerade Fab 50 ranking has been released. Central stays at #6 and Overton moves up to number 29 from #32. Freshmans Nia Gregory (Collierville) and Karisma Tyson (Overton) will have an opportunity to play in front of a home crowd this Saturday, December 11, 2010. Arkansas-Little Rock will be facing the Memphis Lady Tigers at the Elma Roane Fieldhouse at 2pm. The Lady Spartans put themselves in prime position for a high ranking when the new Dandy Dozen is released Thursday after they ran their record to 9-0 with a 52-45 victory over visiting Overton on Tuesday. The Lady Spartans opened their season by winning the championship in the ultra-competitive Martin Luther King Jr. tournament at Melrose. Tuesday's victory will only add to their résumé; the Lady Wolverines were ranked third in the preseason Dandy Dozen and finished 31-4 last season, falling in the semifinals of the Class AAA tournament. Overton (45) -- Atkins 14, Burks 1, Fondren 11, Golden 6, Hays 3, Jackson 6, McGordon 2, Neal 2. White Station (52) -- Tya Johnson 2, Red Payne 3, Breanna Ridgell 19, Jasmine Settles 5, Durriya Shields 16, Amber Williams 7. Records -- Overton 4-2, White Station 9-0. I had the pleasure of interviewing nationally ranked Potter's House Christian Academy's Coach, Tony Bannister, during the 2nd Annual Tennessee Turkey Jamm. All I can say is WOW!! Can you imagine playing over 50 games during the high school season? How about playing a 50 game schedule with only 6 of them at home and the rest all over the United States? --And you won 90-95% of the games. I'm sure after watching this interview you will be inspired as a player, coach or parent. The Central Lady Warriors are heading to Honolulu, Hawaii participating in the Iolani Classic this week. The event feature 8 teams, (#6) Memphis Central (TN), Iolani (HI), (#2) Brea Olinda (CA), Farrington (HI), Archbishop Mitty (CA), Konawaena (HI), (#25) Incarnate Word Academy (MO), and Tsinghua (China). Their first game kicks off on Thursday at 5:00PM against Tsinghua out of CHINA. 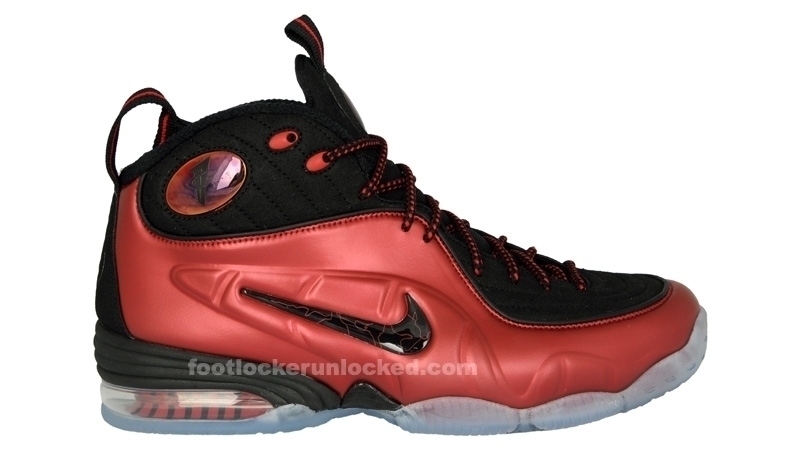 WHOA!!! Achieving perfection in basketball is difficult because there are so many pieces to the game that have to come together. You're one of 10 people on the court. You need to know what your four teammates are doing, and what the five on the other side are doing. It's extremely hard -- and that's why it's so great. I don't know if we've had a perfect game, but we've had a couple of halves that have been close. There's a lot of expectations for us in terms of wins and losses, but there's a lot more that goes into how I would define a perfect game or season. For us, it's how you play. Perfect, to us, could be that I missed my first five shots in a game but I was a great defensive player. Our coach says that striving for perfection is good, but you don't have to require it. You're going to make mistakes, and it's about how you respond and bounce back. In basketball, the beautiful thing is that you get a chance to bounce back really quickly. If you mess up on offense, you try to make something happen on defense. You use that fuel, that anger, to motivate you to make a stop. St. Mary's-Ky. (30) -- Vaughn 10, Dome 3, Guess 11, Parell 2, McManus 4. Bolton (45) -- Rachel Blevins 2, Kayla Bolden 10, Abriona Hall 2, Megan Morris 5, Ashleigh Winston 13, Alexanderia Winston 13. St. George's (64) -- Mary Lauren Bobango 4, Taylor Cowan 7, Mary Henley Green 4, Kellie Kosar 8, Mary Hattie McAlister 2, Amy Mirro 10, Taylor Money 6, Margaret Patterson 5, Ashley Schaefer 4, Rachel Smith 8, Shelby Sims 2, Mary Patterson 2, Ashton Huxtable 2. Lancaster Christian (11) -- Trigg 2, Argo 5, Perryman 4. Records -- St. George's 4-2. 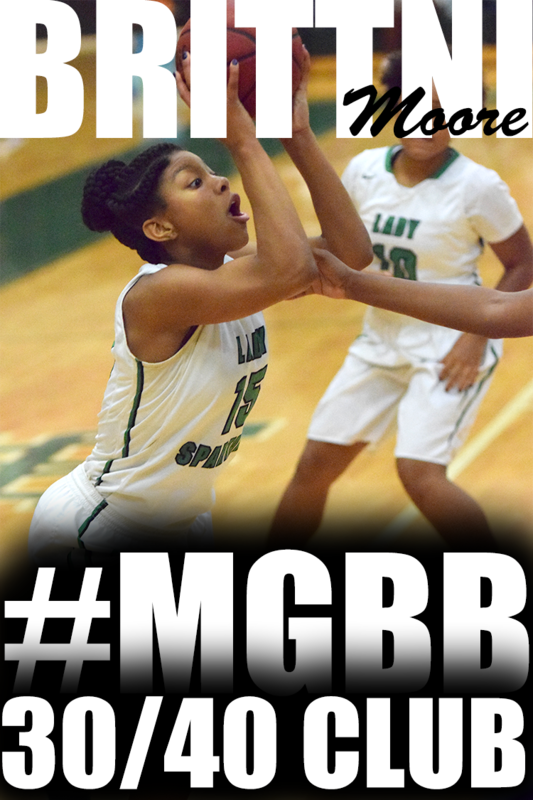 Fairley (44) -- Marquasha Evers 8, Jocqueline Gardner 4, Brandi James 19, Cierra Lott 4, Kayla Wade 5, Erica Watkins 4. Mitchell (41) -- Demetrius Bradshaw 20, Asia Jones 4, Katina Jones 9, Ken-Tesa Ward 4, S. Couch 4. Records -- Fairley 3-2, Mitchell 0-5. Continuing with the LeBron James series of his Signature Moves. Watch as LeBron demonstrates his Jab Jab move. Click here, if you missed the first LeBron James video with his between the legs hesitation move. Recently, Kaitlin Murphy (White Station) scored a career high 25 points to power Furman to a 73-60 victory over Presbyterian in women's basketball action at Timmons Arena. The win marked a successful home season debut for Furman (2-2) and first year Paladin head coach Jackie Smith '00, who returned to her alma mater in April. Murphy's performance, which topped her previous best, a 15-point outing in a 76-60 triumph over Stetson last year, featured 8-of-12 shooting from the field, including 2-of-3 from 3-point range. The sophomore guard from Memphis, Tenn., also drained 7-of-8 free throw attempts and collected three assists in a contest the Paladins led from start to finish. After beating the then ranked #6 Potter House during the 2nd Annual Tennessee Turkey Jamm, Overton breaks the Powerade ESPN Rise Fab 50 ranking at #32 and is the 9th ranked team in the Southeast Region. Central is the still the #1 ranked team in the Southeast Region, however drops 1 spot to #6 after losing to then ranked #4 Bolingbrook in last week's Turkey Jamm. 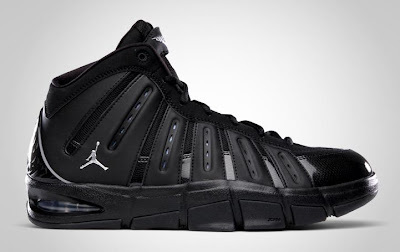 The Jordan Melo M7 Black/Metallic Silver-University Blue shoe came out today just in time for the holiday season.